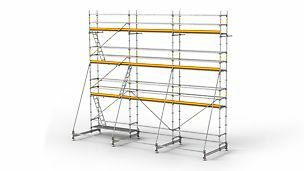 With T-frames, facade scaffolding can be assembled quickly and safely by means of the guardrail in advance and self-securing steel decks. 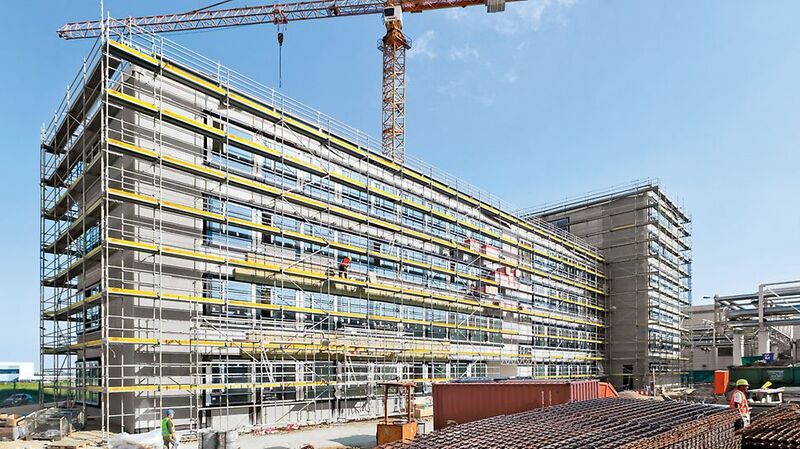 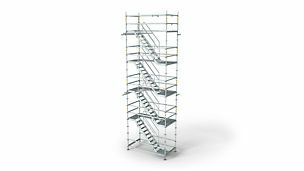 The PERI UP T 72 / T 104 frame scaffold fulfills all scaffolding tasks which can be technically and cost-effectively realized with frame scaffolding. 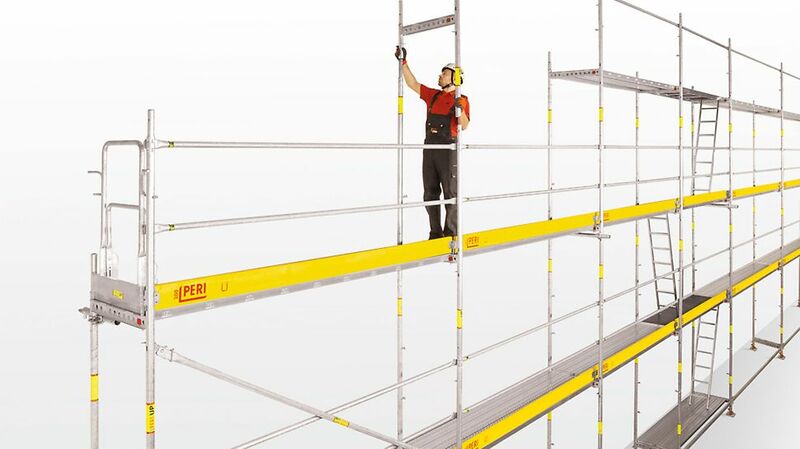 In addition, the system provides the user with an extraordinarily high level of safety which makes the harness protection required in many countries unnecessary. 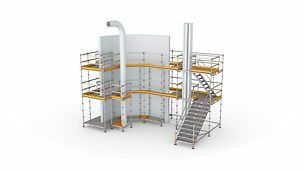 The guardrail in advance for the next level is assembled together with the T-frame from the lower, already secured scaffolding level. 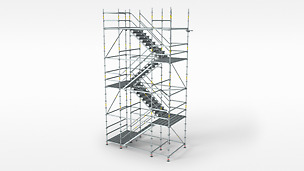 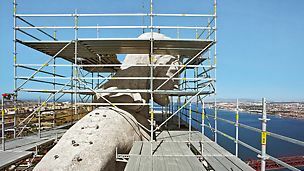 The scaffolder is therefore in a safe position when entering the next level. 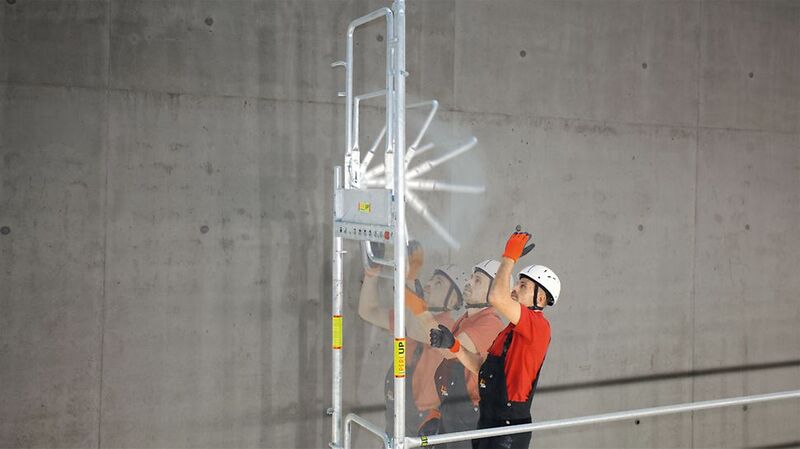 This is the basis for fast and safe working procedures. 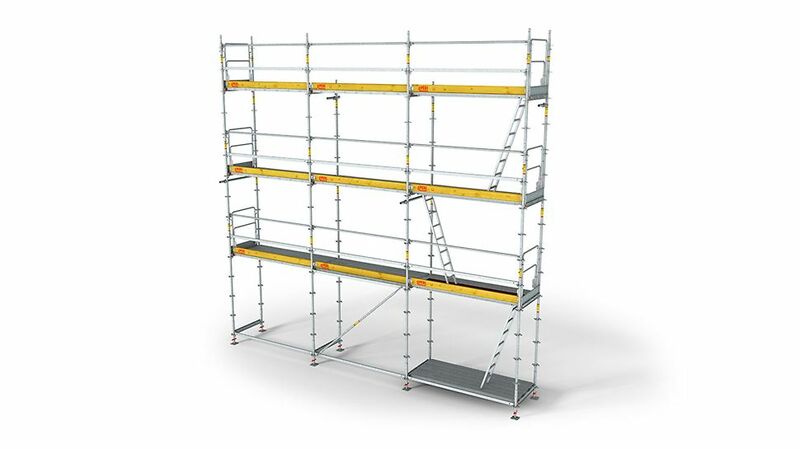 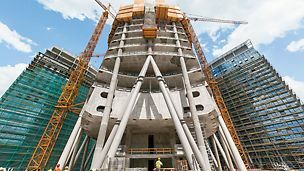 The high load-bearing capacity of the PERI UP T 72 / T 104 frame scaffold allows large bay sizes for all scaffold groups and the work to be carried out. 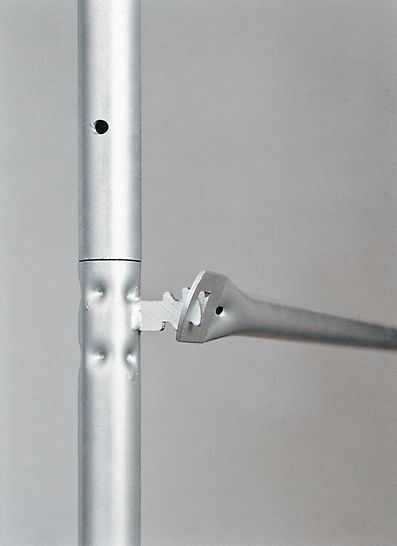 The standard anchor arrangement for PERI UP follows an 8 m offset pattern. 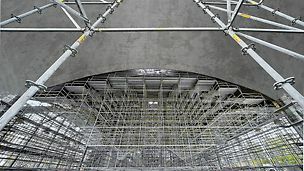 Only PERI UP has received official approval to extend this pattern to the edges of the scaffolding. 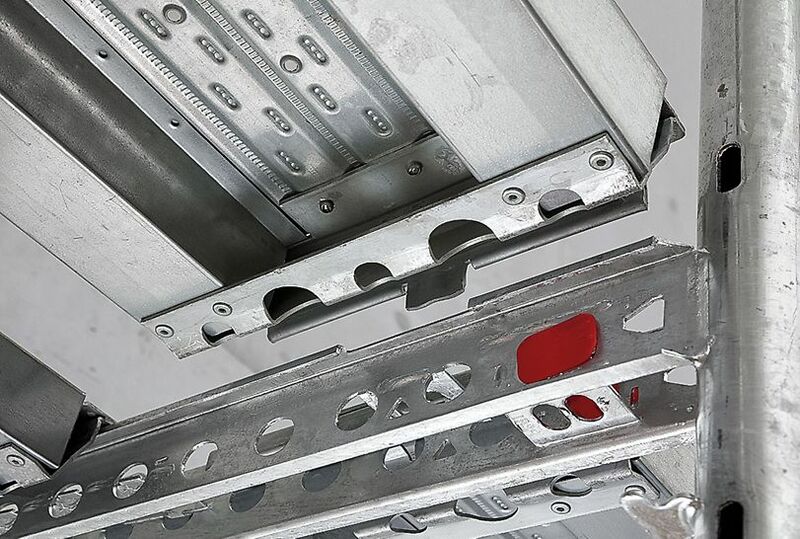 The high frame stability and load capacity of the T-Frame UVT allows many different variations: inside console brackets on every level, additional outside console brackets, protection roofs, nets and tarpaulins.